Gordon Ramsay, the foul-mouthed chef behind some of the more memorable profanity-laced tirades in culinary history, will be jet-setting across the world in a new TV show. In a way, Gordon Ramsay: Uncharted will see the former host of Kitchen Nightmares fill a bit of the void left by the late Anthony Bourdain, as Ramsay will seek out under-explored food traditions in far-flung locales. 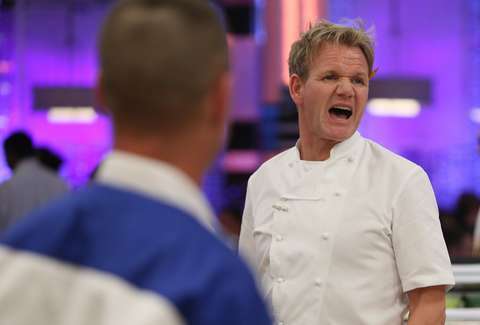 But staying true the Ramsay's competitive form, the show will also pit the surly chef against locals in cooking competition. And if the past is any indication, barbs will almost certainly fly as Ramsay gets his mettle tested. According to a press release, Ramsay "will embark on anthropology-through-cuisine expeditions to unearth the most incredible people, places and flavors the world has to offer." Gordon Ramsay: Uncharted won't exactly be like the safari-version of the chef's former shows, according to National Geographic Global Networks. Each episode will consist of three parts: meeting local luminaries of under-explored cuisines, the cuisine itself, and then seeing if Ramsay can cook the food better than its actual experts. Ramsay, who's producing the show through his own Studio Ramsay, released a statement through Nat Geo, which will air the program in the United States. “My passion for adventure has made me not only a better chef but also a fearless apprentice of all cultures, which makes it so exciting for me to work with National Geographic, who’ve been taking exploration to the limit for their entire storied history,” he said. The chef's fans (and critics) will probably remember Ramsay's past poor attempts at bettering chefs at their own game: He once tried to make a traditional Pad Thai, and had his efforts torn to bits by a Thai chef in a devastating critique. Perhaps more embarrassment awaits Ramsay after he parachutes into various kitchens across the world when Gordon Ramsay: Uncharted premieres globally in 2019.